International Editor Daniel Knop writes about the dizzying array of tank options now available to reef hobbyists, and points readers to a special online bonus feature from the original German language Koralle. In Memoriam – James Lawrence dedicates the Editor’s page to remembrances of Denise Neilsen Tackett, as told by her husband Larry D. Tackett. 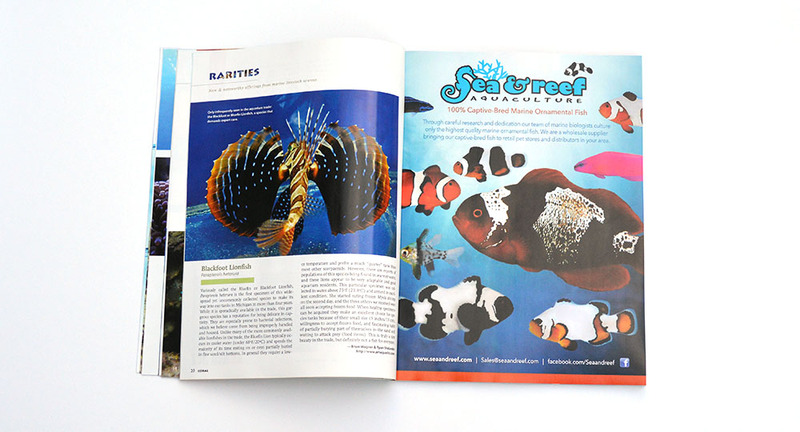 Get the full inside story on Biota’s aquacultured Clown Triggerfishes, exclusively in CORAL Magazine! Larval rearing details will surprise anyone with a passing knowledge of marine fish breeding. A&M Aquatics kicks off this issue’s Rarities section with a look at the Blackfoot Lionfish, Parapterois heterura. 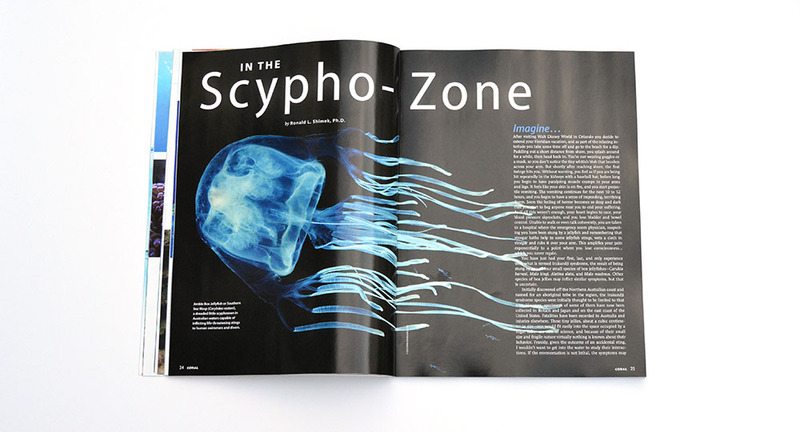 Our cover feature starts with “In the Scypho-Zone” by Ronald L. Shimek, Ph.D, giving readers an in-depth look at Sea Jellies / Jellyfishes / Jellies! Beyond the Moon Jellyfish: Matt Pedersen and Dr. Toshihiro Yoshida look at an array of species suitable for home aquarium care in “My First Jellyfish”. 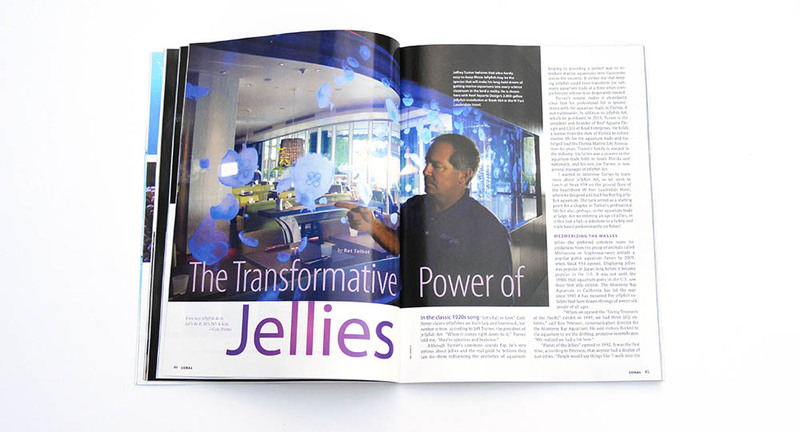 “Are we entering an age of jellies, or is this just a fad?” Ret Talbot brings us the story of Jellyfish Art and the people behind this changing and growing company. 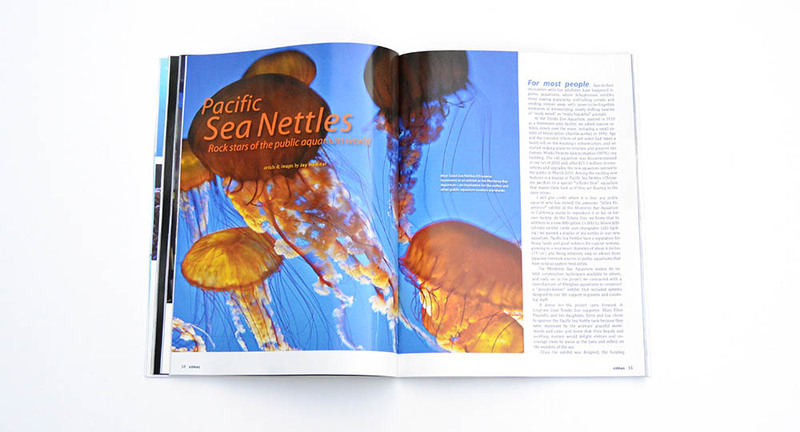 Jay Hemdal discusses the “Rock stars of the public aquarium world” in his article about the Pacific Sea Nettle exhibit at the Toledo Zoo. 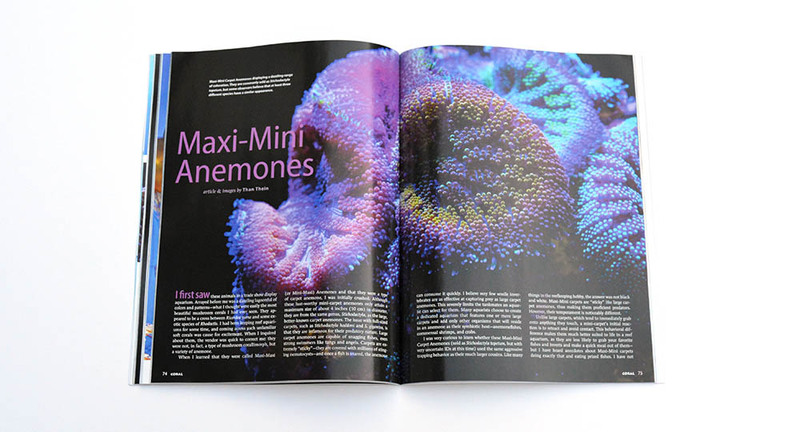 CORAL contributor Than Thein takes a fresh look at Maxi-Mini Anemones in our newest issue of CORAL Magazine. 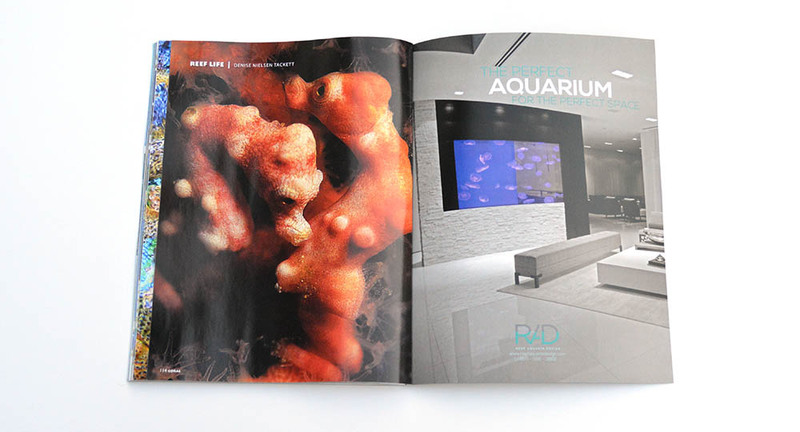 Our Aquarium Portrait looks at the 200-gallon reef aquarium of Christian Euler. 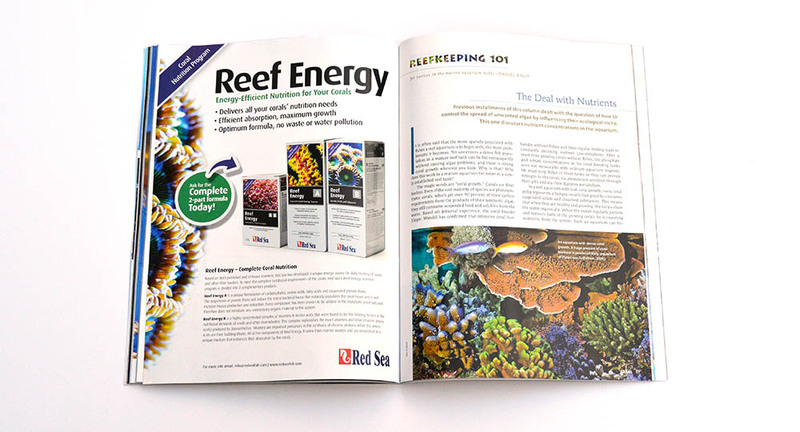 Daniel Knop considers “The Deal with Nutrients” in our latest installment of Reefkeeping 101. The “Poison Goby,” better known in the US as the Citron Goby, is Daniel Knop’s suggestion for a beginner’s fish in this issue’s Reefkeeping 101. 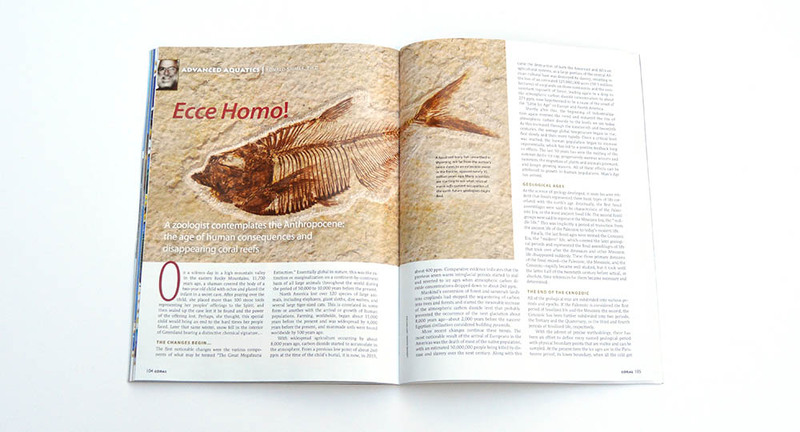 Another goby graces our pages this issue, as Daniel Knop looks at the stunning Spotted Dwarfgoby, Eviota guttata. 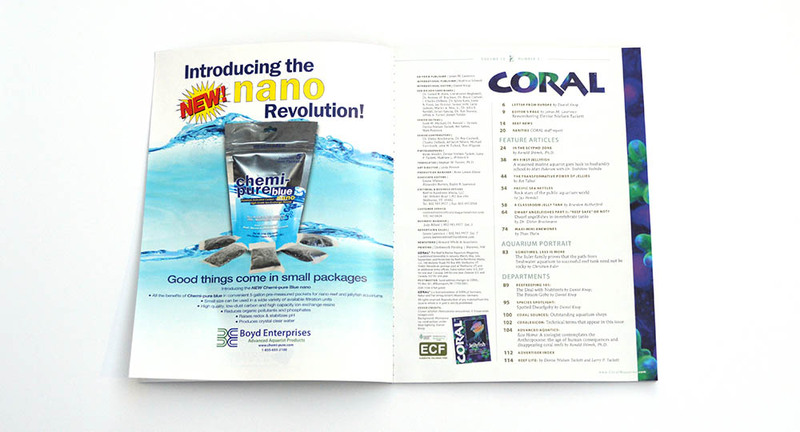 Want to see a hard copy of CORAL Magazine? Check out our many fine independent retailers! Ronald Shimek, Ph.D., contemplates the Anthropocene: The age of human consequences and disappearing coral reefs. 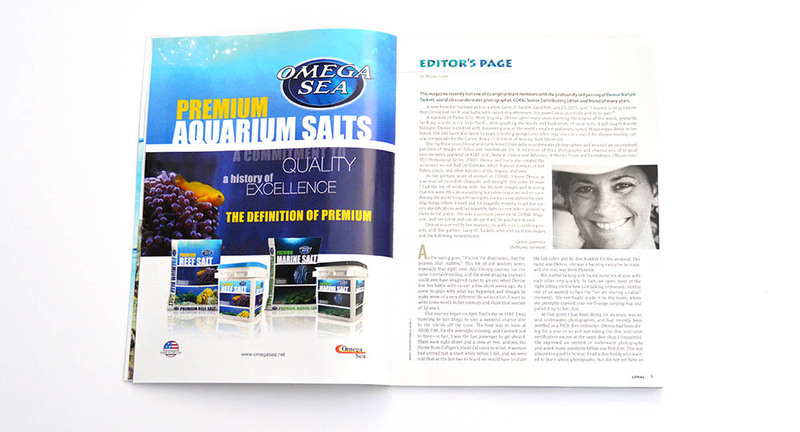 Our Reef Life closing image pays homage to the late Denise Neilsen Tackett. 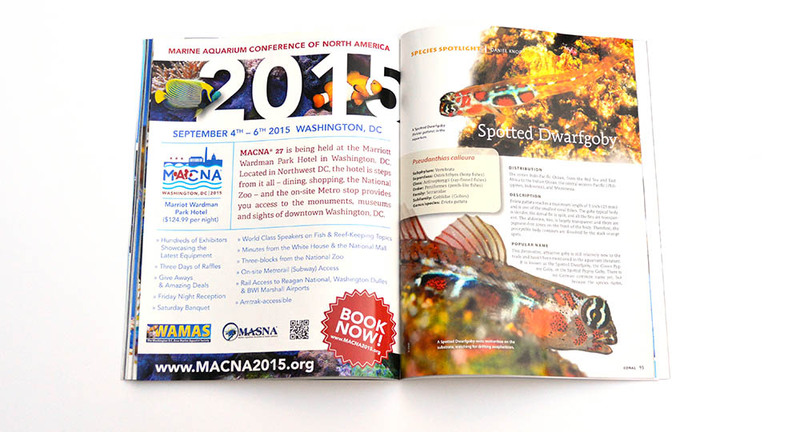 Read more about this image on page 102 of the May/June 2015 CORAL Magazine. Just flipped through another $8 copy of Coral magazine in 8 minutes or less. Won’t be renewing. How many of your readers raise jelly fish? Less than 1% probably. 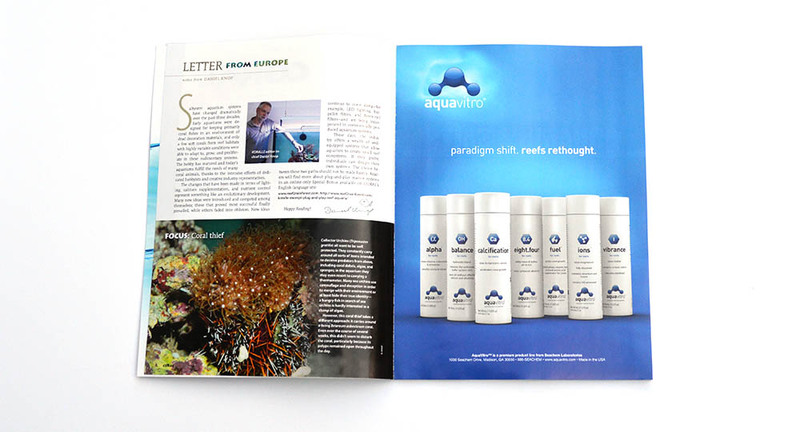 A whole magazine on jelly fish? Come on. $8 to read about jellyfish. Bob, as one of the Sr. Editors of CORAL Magazine, it might surprise you to learn that there was a time I would get a copy of CORAL and share exactly the sentiments you expressed. So allow me to offer another view point. A classic example was the “Gorgonians” issue (Volume 3, #6). At the time I received it, I probably set it on the shelf in short order. 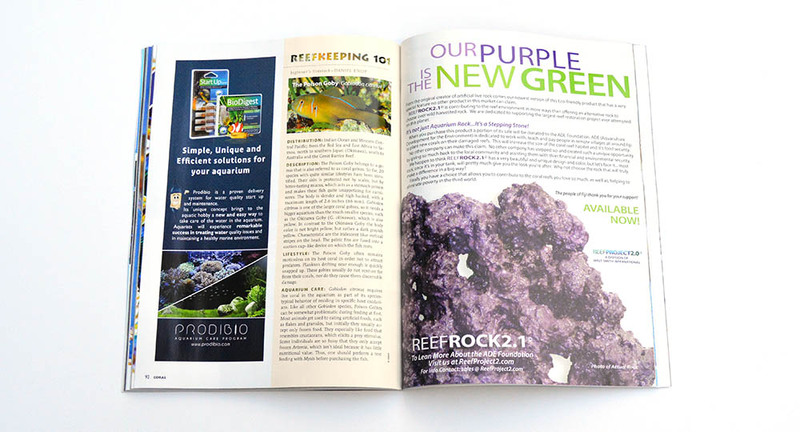 But, several years later, I found myself setting up a Caribbean-themed biotope aquarium, and suddenly that issue was yanked off the shelf and read cover to cover. In our 11+ years, I don’t believe CORAL has ever written about Jellyfish, and certainly it has never been a cover feature. In the past, no one was keeping jellies – this is an emerging and new facet of the marine aquarium hobby. In my opinion, one of the things I counted on CORAL to provide me with, as a reader, was stories that challenged me and exposed me to new things. Not to simply rehash “here’s how you frag Acropora” yet again or similar. You may not be keeping Jellies today, but that’s not really the point, is it? Arguably, keepers of jellies don’t need an entire issue on the keeping of Jellies…it’s written for all of you who haven’t even considered it yet. You may not read it today, just as I didn’t read the Gorgonians issue, but you may come back to it in the future. Of course, I’d say challenge yourself to read it vs. just flipping through it. 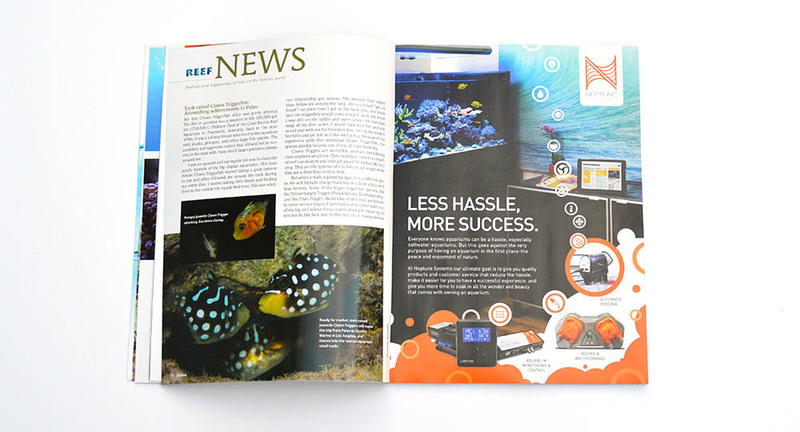 After all, this issue covers breakthroughs like the aquaculture of Clown Triggerfish (something that has been dreamed about for decades by aquarium trade members), a new look at Maxi Mini Anemones, revisiting the notion of Dwarf Angelfish being “reef safe”, and so much more. I realize that not every issue is going to be a home run with every reader…we all have different tastes. But I do hope that each issue has something to offer for everyone, even if the featured theme isn’t in your interests. I’d love to hear about the stories YOU’d want to learn more about Bob, as we do value our reader’s opinions! Thanks for sharing them! Just to set the record straight, a CORAL cover subject never fills the whole magazine. In this particular example, Jellyfishes took up 33% of the pages. Bob, as one of the Sr. 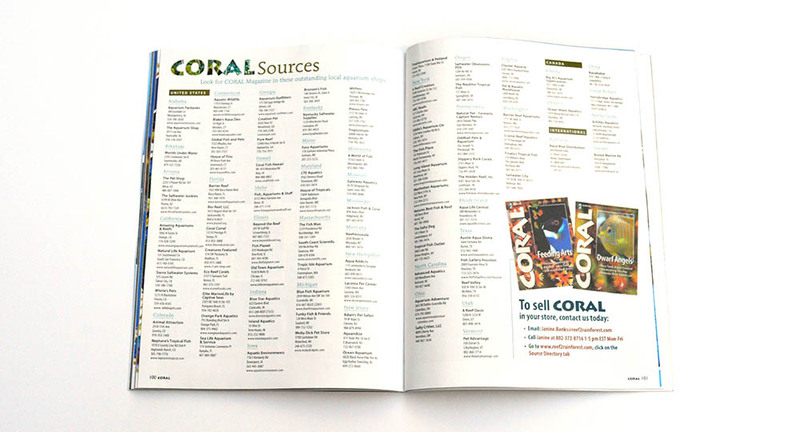 Editors of CORAL Magazine, it might surprise you to learn that there was a time I would get a copy of CORAL and share exactly the sentiments you expressed. So allow me to offer another view point. A classic example was the "Gorgonians" issue (Volume 3, #6). At the time I received it, I probably set it on the shelf in short order. 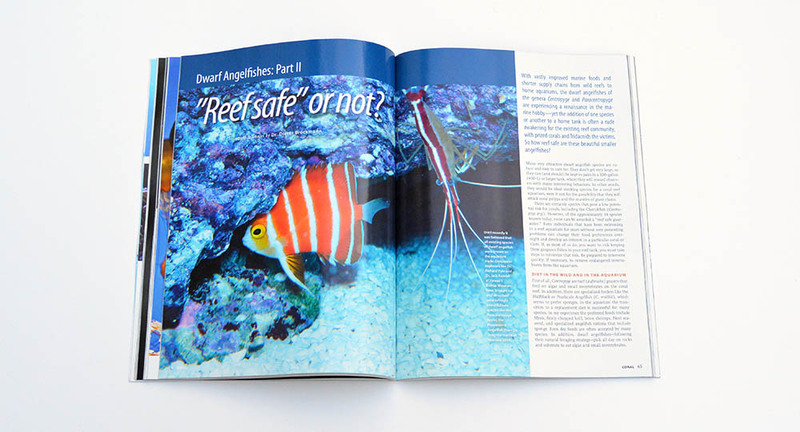 But, several years later, I found myself setting up a Caribbean-themed biotope aquarium, and suddenly that issue was yanked off the shelf and read cover to cover. 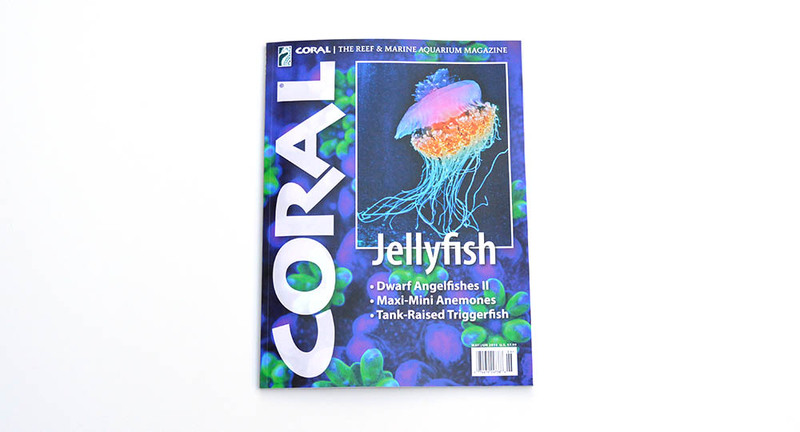 In our 11+ years, I don't believe CORAL has ever written about Jellyfish, and certainly it has never been a cover feature. In the past, no one was keeping jellies - this is an emerging and new facet of the marine aquarium hobby. In my opinion, one of the things I counted on CORAL to provide me with, as a reader, was stories that challenged me and exposed me to new things. Not to simply rehash "here's how you frag Acropora" yet again or similar. You may not be keeping Jellies today, but that's not really the point, is it? Arguably, keepers of jellies don't need an entire issue on the keeping of Jellies...it's written for all of you who haven't even considered it yet. You may not read it today, just as I didn't read the Gorgonians issue, but you may come back to it in the future. Of course, I'd say challenge yourself to read it vs. just flipping through it. 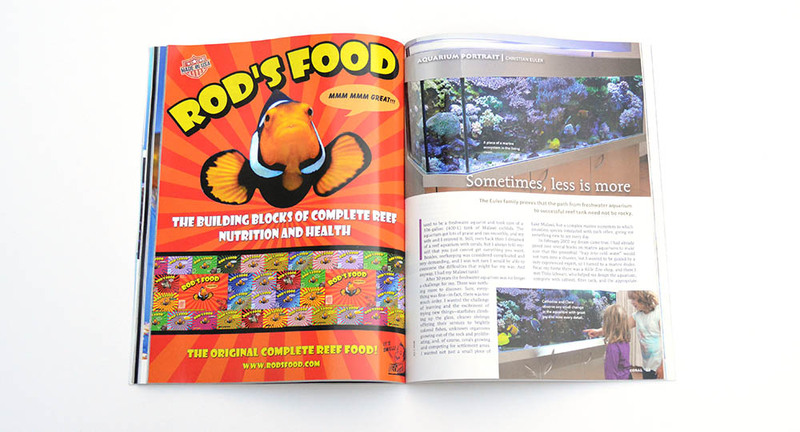 After all, this issue covers breakthroughs like the aquaculture of Clown Triggerfish (something that has been dreamed about for decades by aquarium trade members), a new look at Maxi Mini Anemones, revisiting the notion of Dwarf Angelfish being "reef safe", and so much more. I realize that not every issue is going to be a home run with every reader...we all have different tastes. But I do hope that each issue has something to offer for everyone, even if the featured theme isn't in your interests. I'd love to hear about the stories YOU'd want to learn more about Bob, as we do value our reader's opinions! Thanks for sharing them! Just flipped through another $8 copy of Coral magazine in 8 minutes or less. Won't be renewing. How many of your readers raise jelly fish? Less than 1% probably. 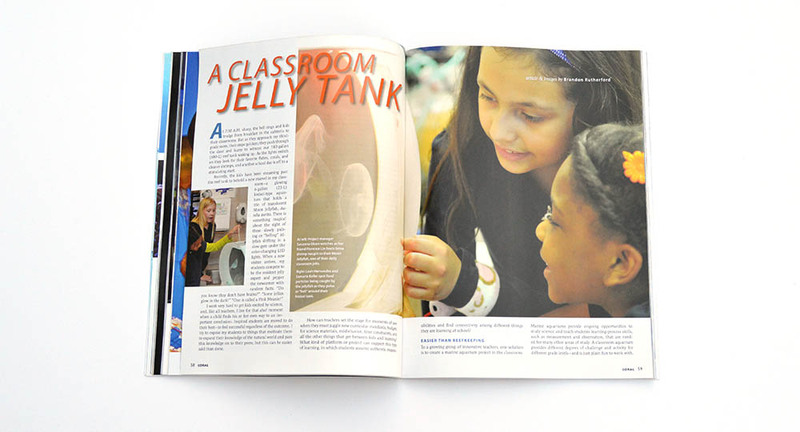 A whole magazine on jelly fish? Come on. $8 to read about jellyfish.